Now that you've had a chance to preview some FileMaker Sample Apps, you're ready to start learning how to use FileMaker Pro Advanced. To become a good developer, it helps to first be a great user. This involves understanding how to quickly find and manipulate data using the tools available in menu commands, the status toolbar, and keyboard shortcuts. You’ll get comfortable with the different “modes” of FileMaker, including a mode specific to searching, and a different mode for browsing data. And you’ll learn how to do both simple and complex queries of your data, so you can find the set of records you want to act on. Core concepts like views, modes, and found sets are central to thinking like a FileMaker developer. 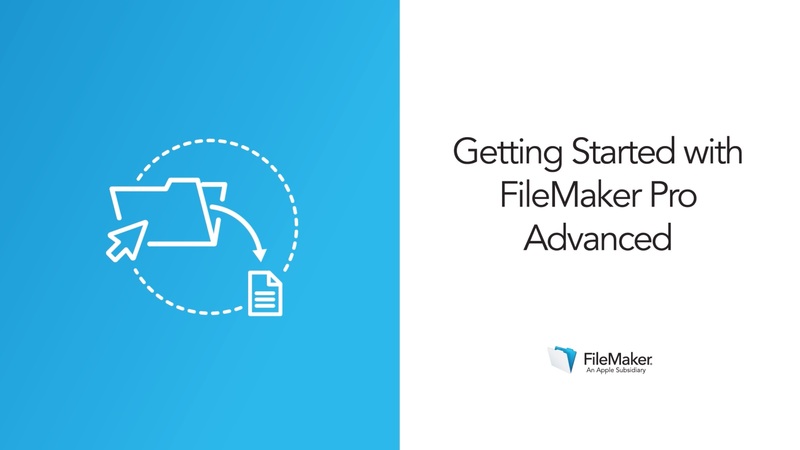 The better you are at using FileMaker Pro Advanced, the better you'll be at developing and maintaining FileMaker solutions. Learn how users interact with FileMaker apps to find and manipulate data.